Flaunt your alma mater, your favorite sports team, or your city pride. From in-vehicle infotainment to driver-assist systems, digital technology can be seen in just about every component of modern automobiles — except the license plate. But if one Silicon Valley startup has its way, even those stamped metal plates will soon go digital as well. 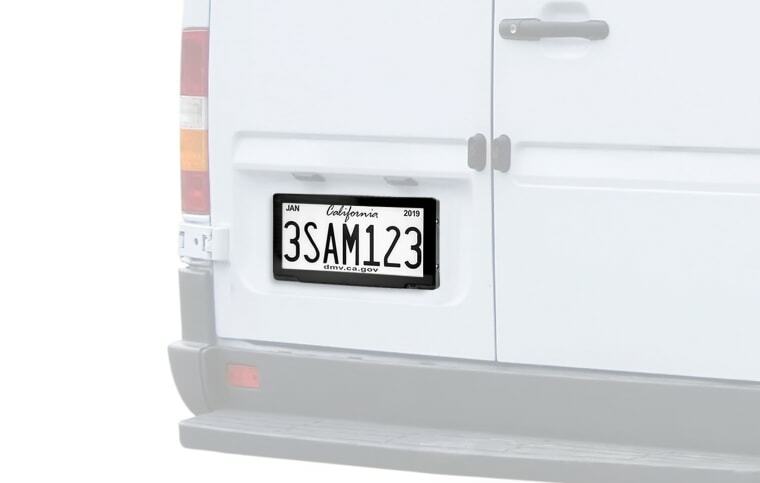 Reviver Auto, of Foster City, California, has developed electronic license plates, dubbed Rplates, that feature wireless LTE technology and monochromatic digital ink screens like the ones seen in e-reader devices. The company says its plates give motorists a new way to customize their vehicles — for example, letting them add personal messages (subject to approval from the Department of Motor Vehicles) or mentions of their favorite causes and charities. And the plates give authorities a new way to broadcast weather updates and emergency messages. Each plate’s unique identifying characters are constantly displayed, of course. But motorists can add embellishments, such as university or sports team logos — and change these whenever they want. And in an emergency, the plates can display, for example, a flash flood warning or an AMBER Alert. When a car is parked, its digital plates can display other information, such as ads for which the motorist would be compensated. For example, a motorist might agree to let his or her plates run ads from a car dealership, Boston said, in exchange for free or discounted services from the dealership. With the digital plates, consumers are able to renew their vehicle registration without visiting the DMV. And if a car is stolen, GPS tracking can be used to figure out the vehicle's whereabouts, Boston added. Rplates are now on sale in California, and will be available in Arizona, Texas, and Florida in the near future. Boston said Reviver is working to legalize them in another nine states by the end of the year. The plates retail for $699, plus a monthly service plan that costs up to $7.75 for the desktop browser-based software to manage the system and optional GPS tracking. Dr. Ashraf Gaffar, an assistant professor of engineering at Arizona State University who studies automotive technologies, agreed that digital license plates could offer some benefits but cautioned that they might introduce other problems. Gaffer also warned that electronic plates could be “fertile ground for hackers,” and could raise privacy concerns. He said more research is needed before the digital plates go mainstream. Boston said future versions of the Rplate will be Bluetooth-enabled, allowing drivers to sync their smartphones with the plates. He said the company is working with consumer advocacy groups to ensure customers’ privacy is properly safeguarded.